The commitment of volunteers with the RNLI at Cowes was celebrated with the presentation of awards at the lifeboat station by the High Sheriff, Gioia Minghella-Giddens. Mark Harker, whose six years involvement with the station eventually culminated in him becoming a helm and assessor/trainer, received an inscribed glass. Fran and Brian, who run a Cowes restaurant, received a certificate marking their ‘unstinting support’ for the station over ten years and providing high quality food and fund-raising expertise. Fran also manages the local RNLI shop. Other certificates were presented to: Nick Edwards, for providing high quality photographs for the station and his involvement in station management; Willoughby Matthews, for supporting all office functions from the age of 14, as well as being an ‘exemplar’ as shore crew/plant operator. Unable to be present for his certificate was Sandy Steen who until his retirement last month had provided professional management support, ensuring the station was fully integrated with RNLI standards. 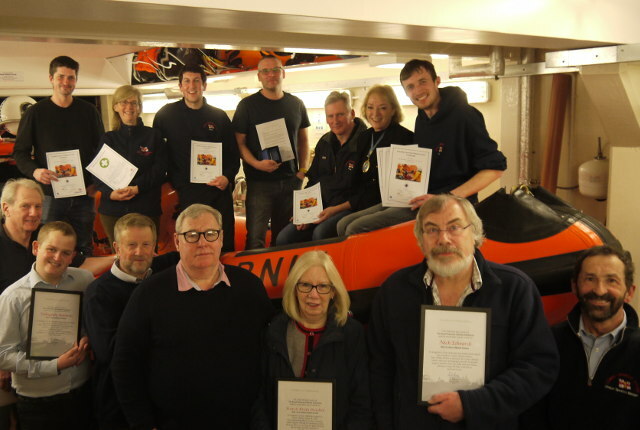 Other boat and shore crew received certificates for achieving a Casualty Care standard, and two other crew had certificates for training in Emergency Procedures at the RNLI College, Poole. 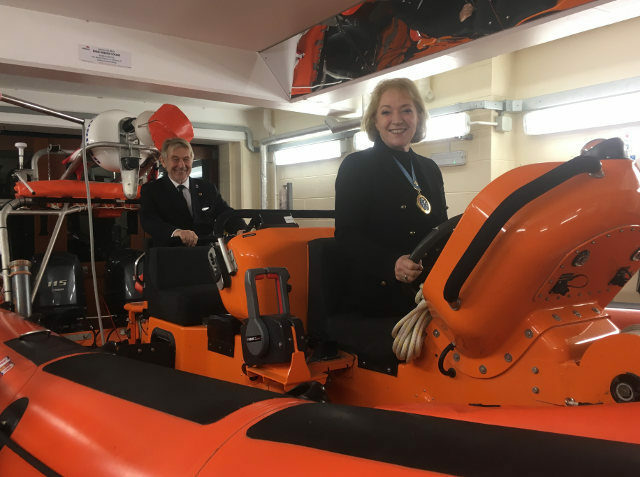 The High Sheriff, together with husband Richard, then joined crew members aboard the station’s Atlantic 85 ‘Sheena Louise’ in the boathouse.